Wisconsin Police Brutality Wrongful Death Cases | Hupy and Abraham, S.C.
Can I recover damages if my loved one is killed by the police? The police who you thought were protecting your community and your family are responsible for your loved one’s death. This can leave you with many questions as you mourn the loss of your loved one. One of those questions is the one you ask here or, more specifically, whether the police department can be held accountable for your loved one’s death and whether the government should be required to pay for things such as the medical expenses your loved one received prior to death, funeral costs, lost income, pain, suffering, and other losses. 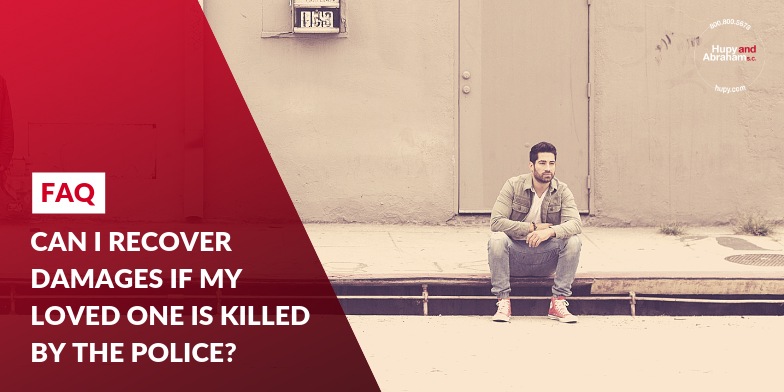 You may have a legal case and you may be able to recover damages if you can prove that the police used excessive force or force beyond what was necessary in the situation that led to your loved one’s death. Our Wisconsin police brutality lawyers have settled the largest police brutality case in state history. We would be pleased to provide you with a free and confidential consultation so that you can learn more about your rights and about how we may be able to help you get the recovery that you deserve after a police brutality wrongful death. Contact us anytime via text, phone, or email to find out more. Posted on 09/28/2018 Did a Police Officer Use Excessive Force?